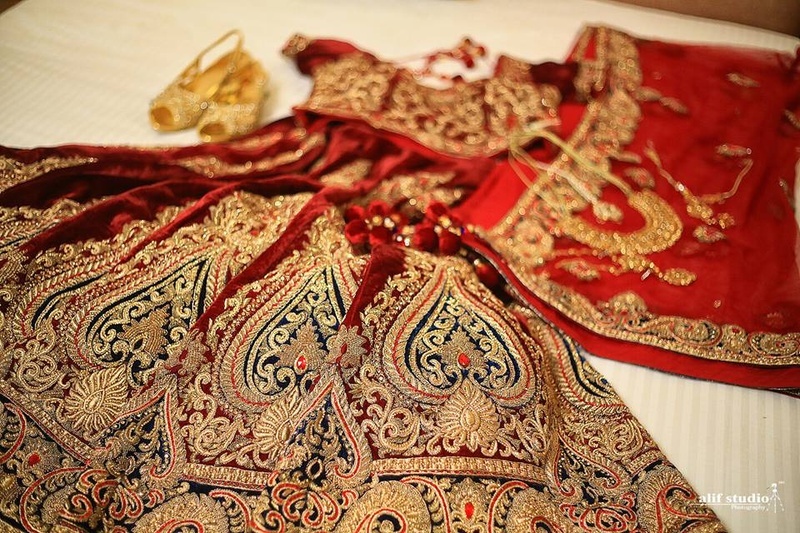 Traditional reds, glistening golds and a beautiful couple! 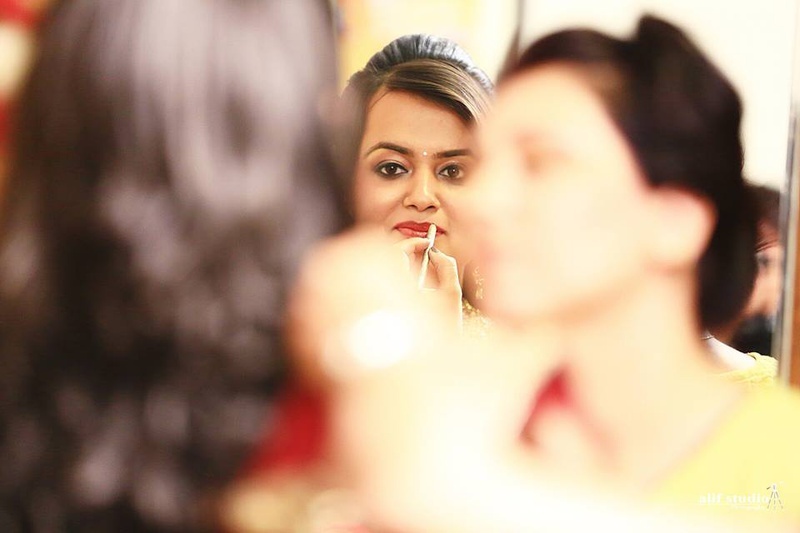 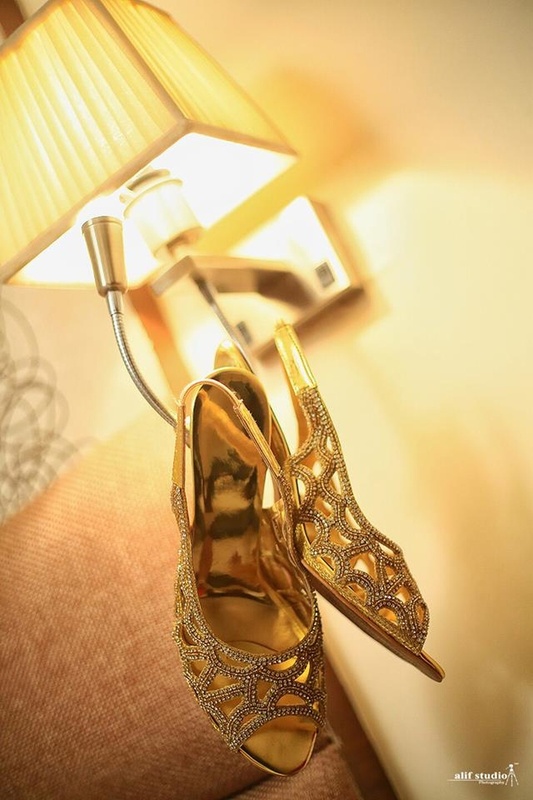 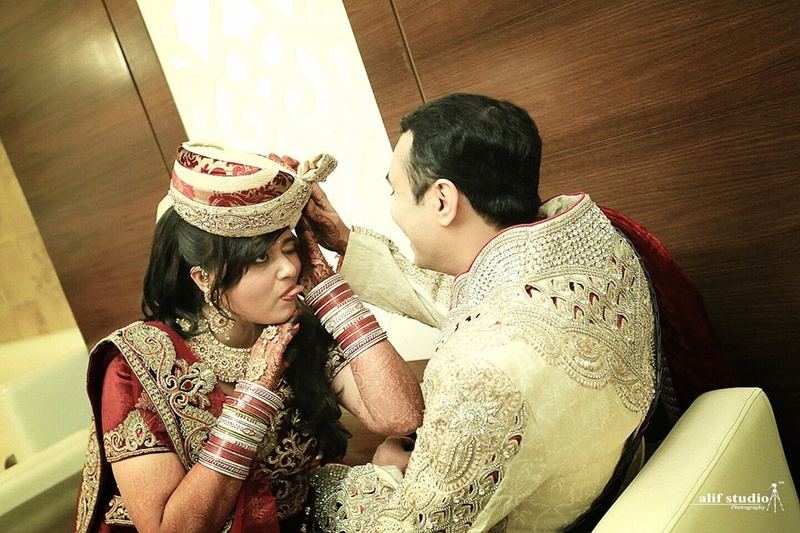 What else do you need to make your wedding a memorable affair? 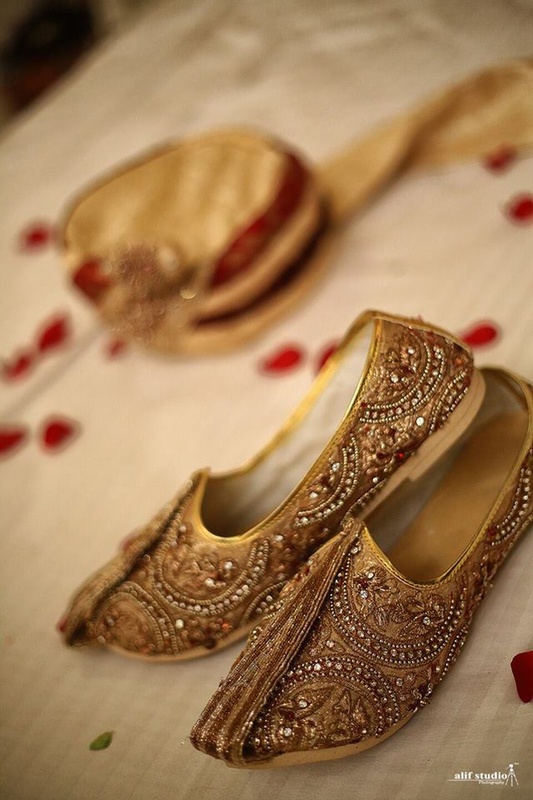 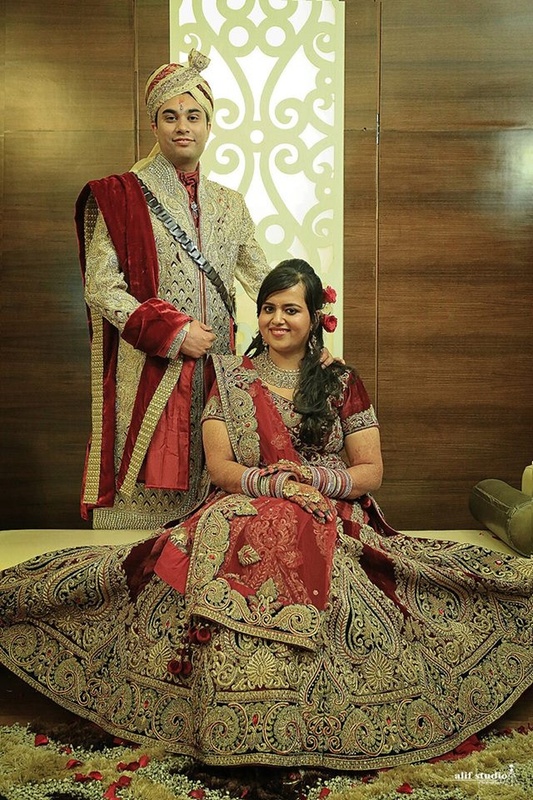 Pictures clicked by the talented Alif Studio photography aptly highlighted the couple in their gorgeous ethnic attires. 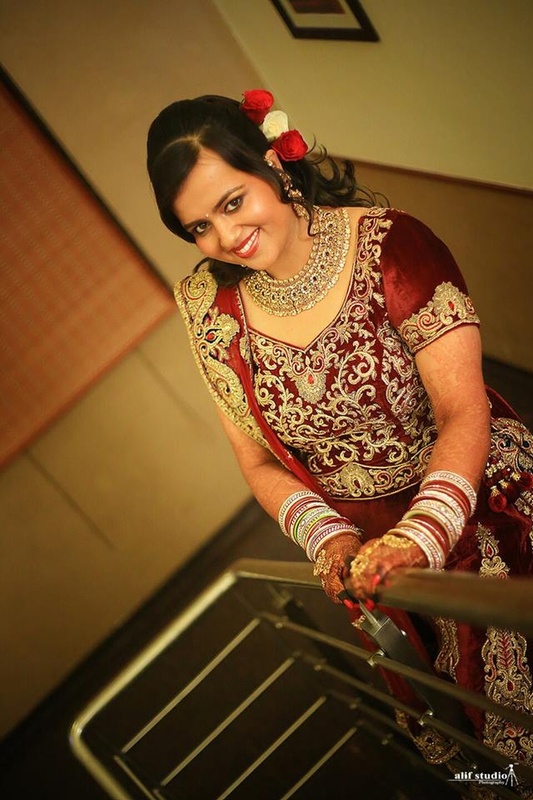 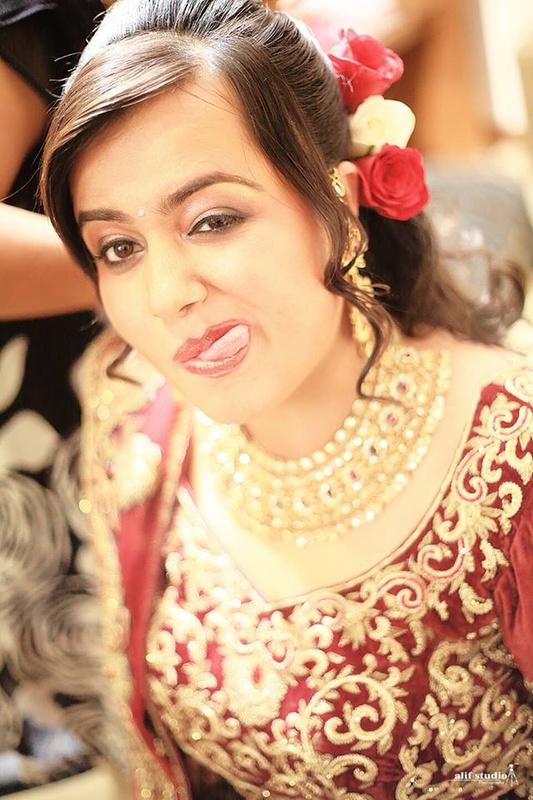 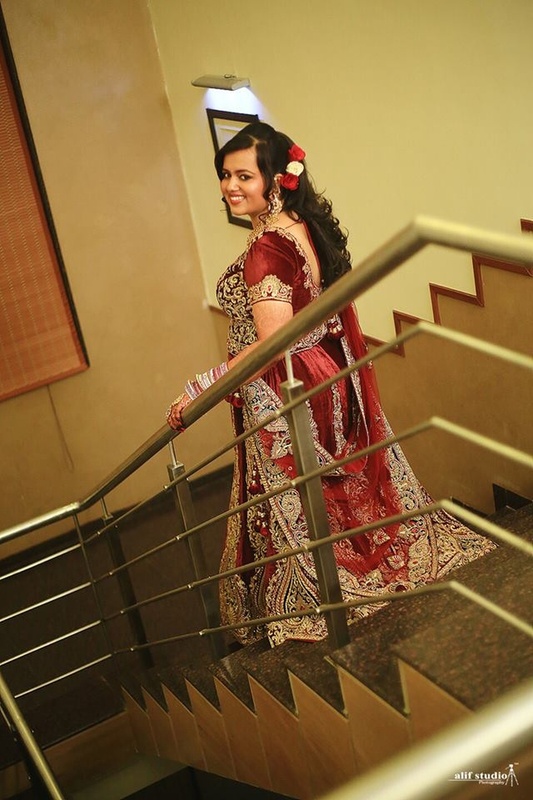 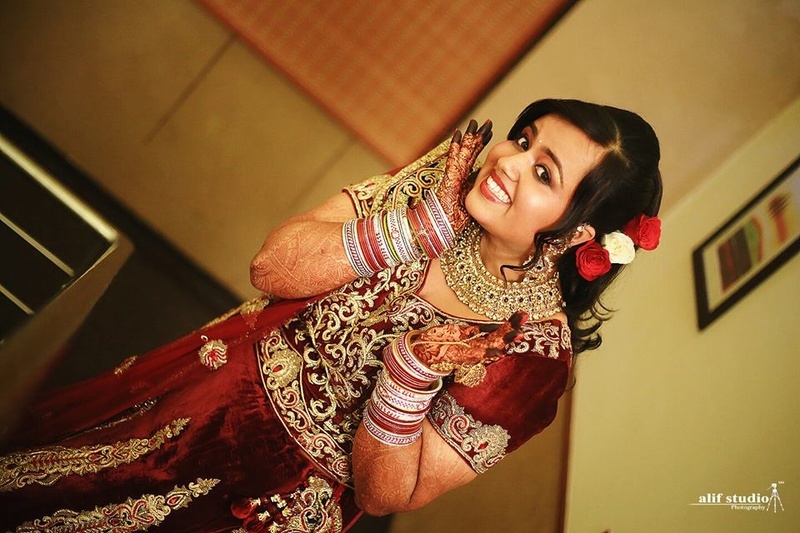 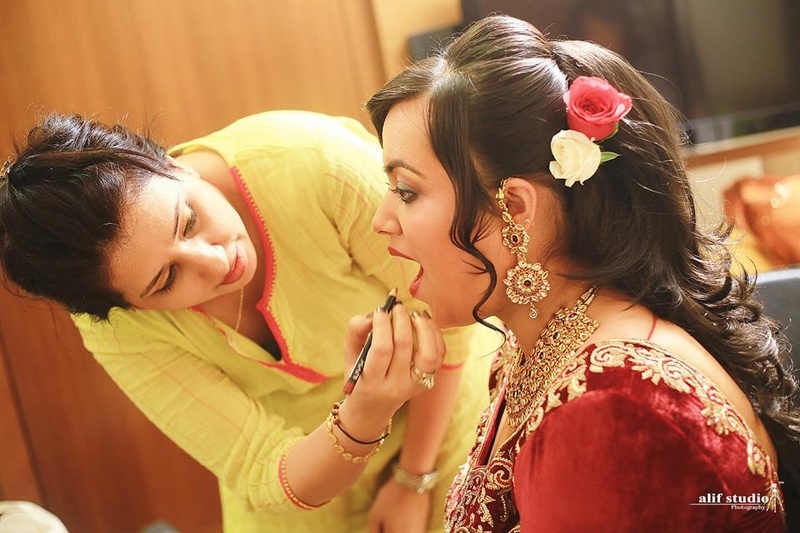 Ayushi made a beautiful bride in a red velvet kalidar lehenga that was intricately embellished with beads and crystals. 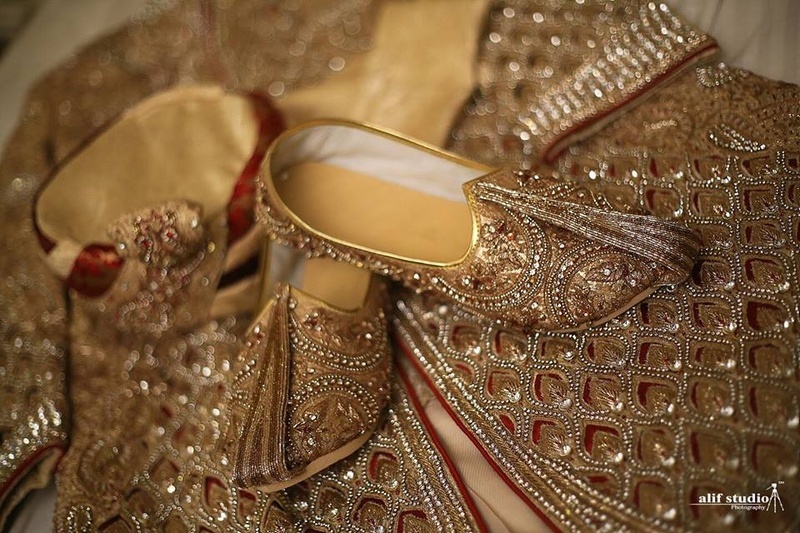 Each embroidered kali had ravishing accents of blue and looked absolutely stunning. 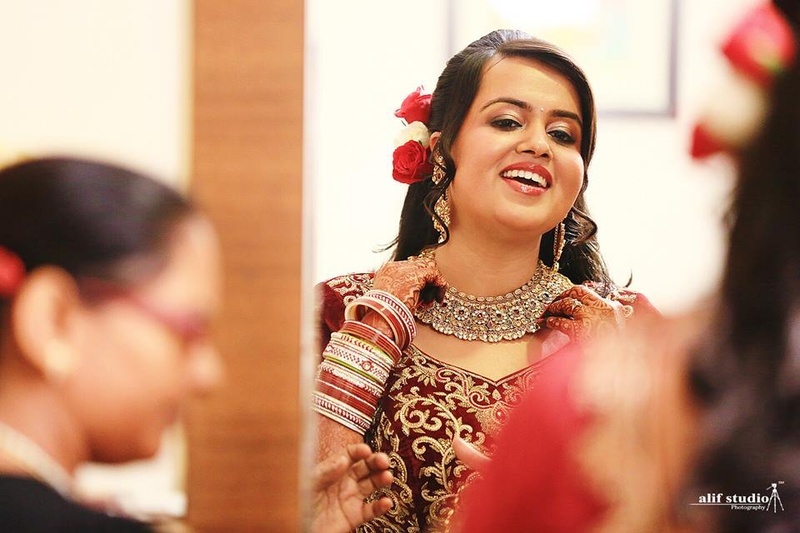 She accessorised her look with a broad gold collared necklace studded with red gemstones and diamonds. 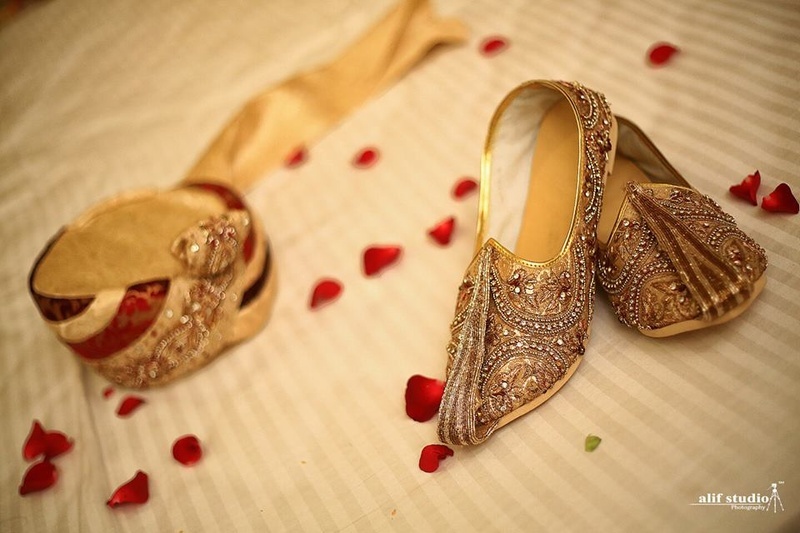 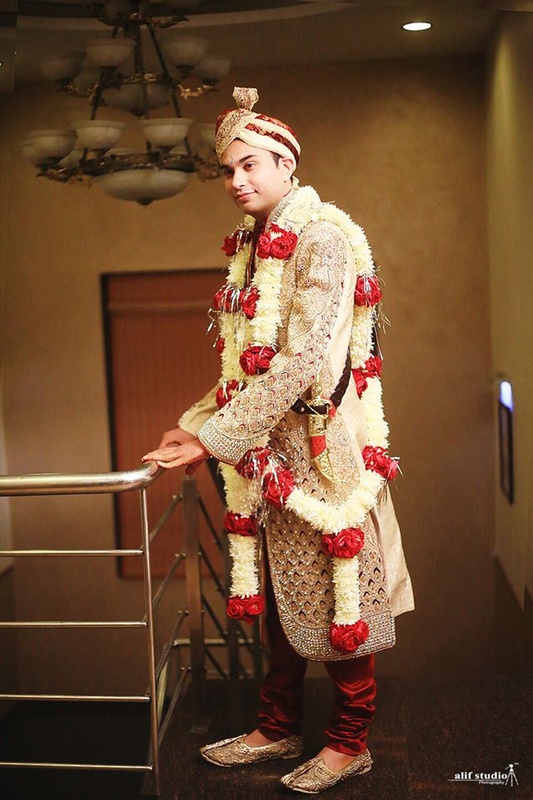 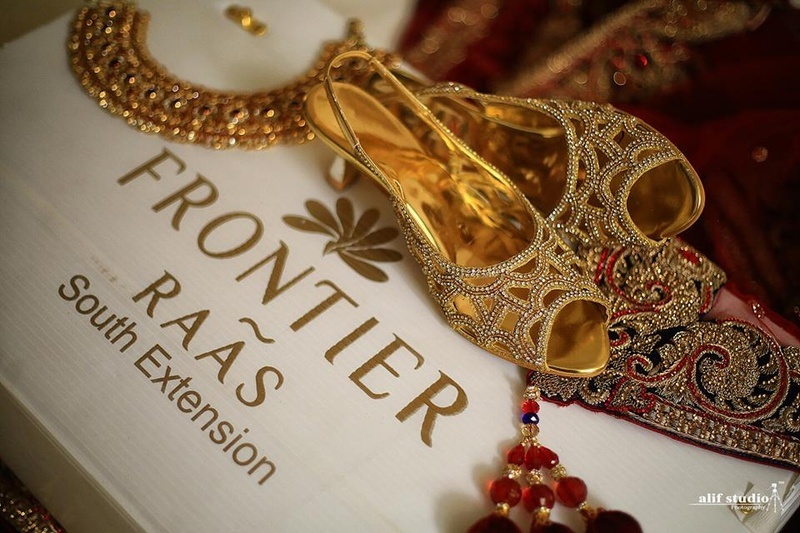 Her handsome groom, Abhiraj complemented her perfectly in his all-over crystal embellished attire - right from his safa to his jootis. 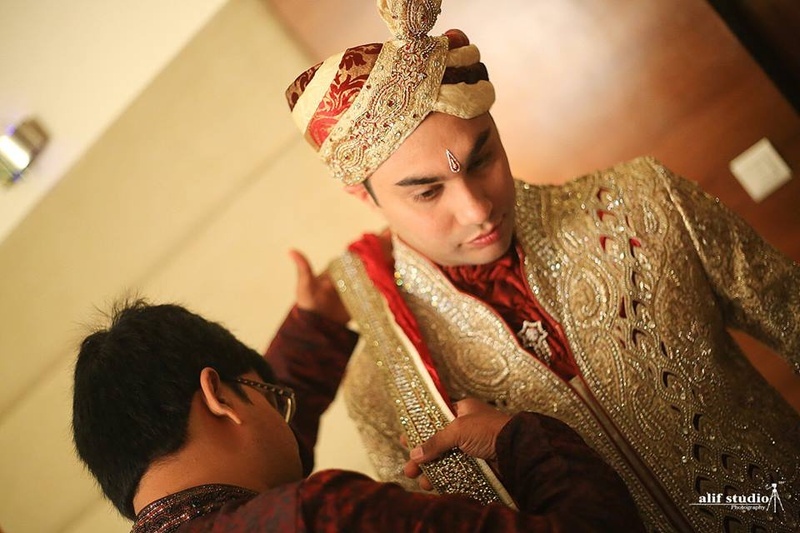 He wore an off-white, textured sherwani with a deep red churidaar and velvet dushala. 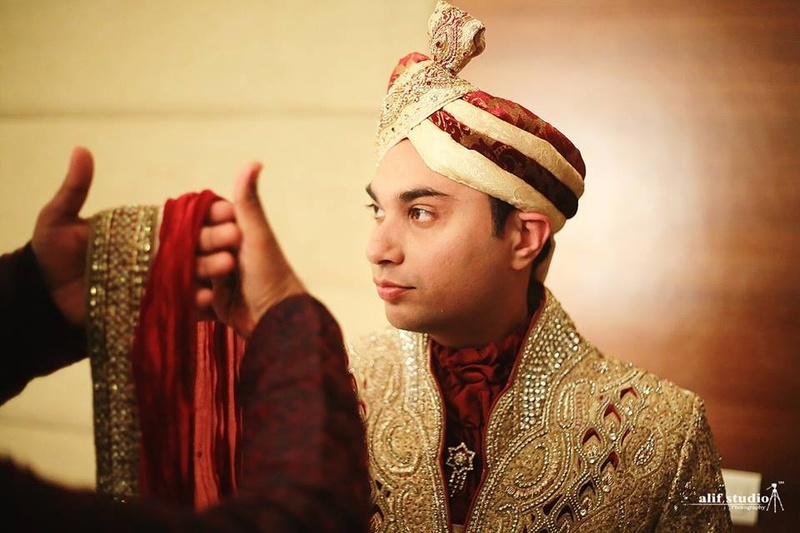 He wore a red neck scarf with crystal-studded brooch that completed his entire traditional ensemble just right. 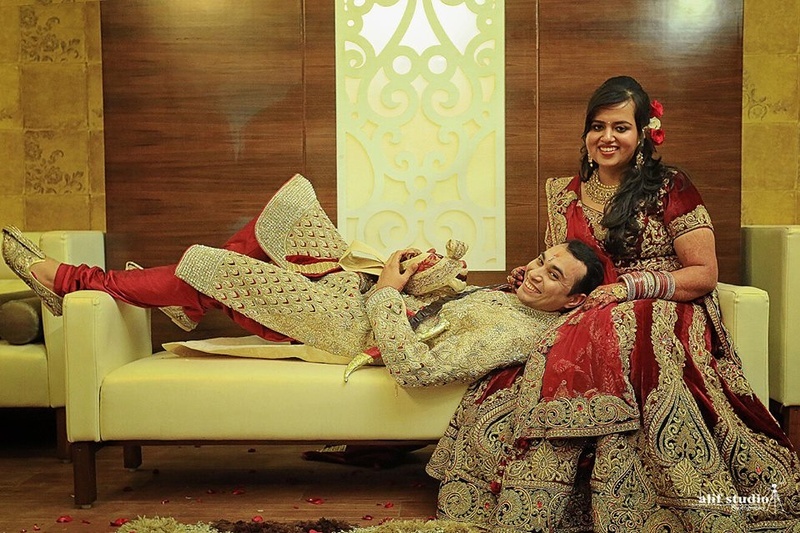 Alif Studio Photography captured the fun side of this couple at their post-wedding shoot held inside a brightly-lit indoor space. 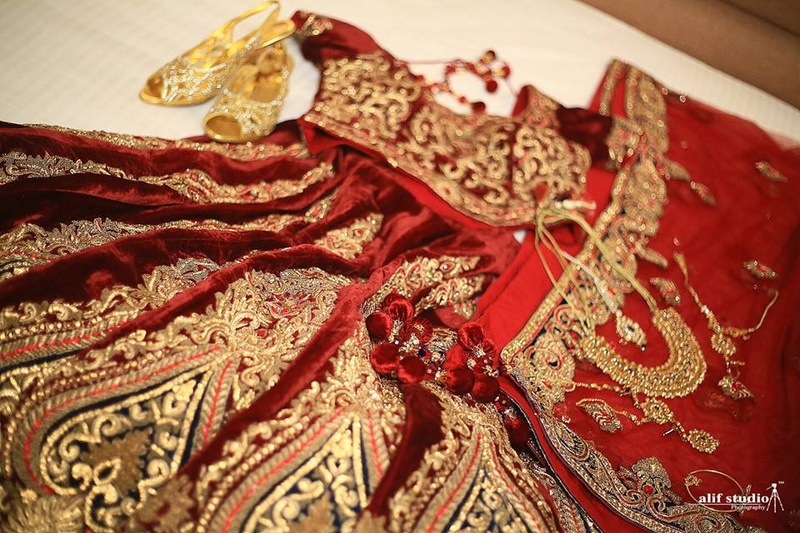 We love how this entire wedding was a continuous theme of red and gold. 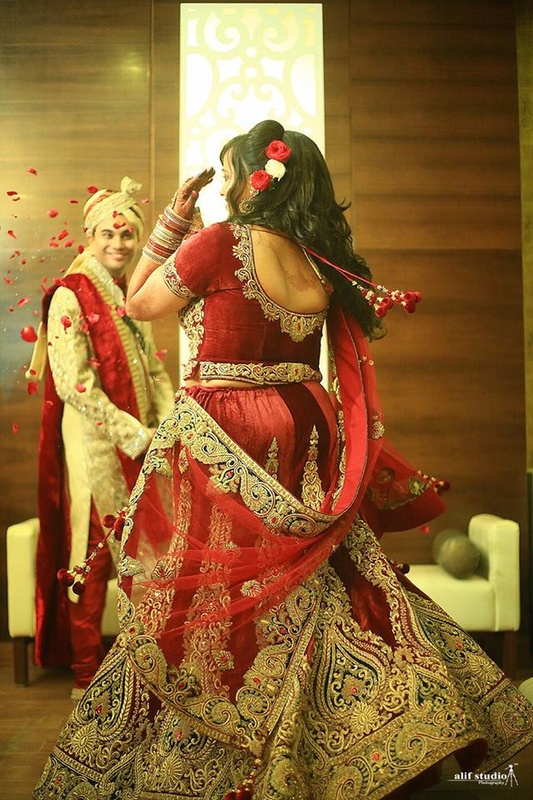 Take a look at their pictures and you’ll love them too!